ABS and PLA are awesome for many, many, many product types. Odds are you’ll use PLA and ABS for most of what you print. “Try being a bit more flexible” (this is an ElastaGirl quote). TPU (Thermoplastic polyurethane) Flexibles are great for any application where your pieces need some give. Printed parts can even be re-shaped after printing by warming in hot water and molding by hand. 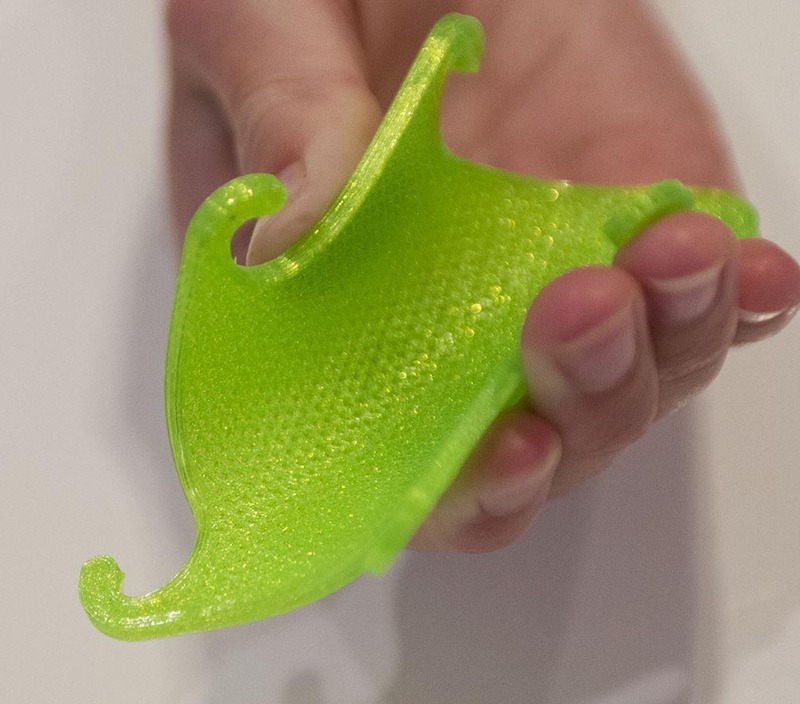 Want to shape something to fit part of your body exactly (we won’t ask what part)? Flexibles are perfect for this. And like PLA, pringing with TPU won’t stink up your office or workspace. Print slow – no faster than 30mm/s. Most step motors are designed to push stiff filament through, not bendy licorice whips. If you print too fast you’ll end up with filament wrapped up in your motor like taffy. Test first, and then again. And then again. Let’s face it, with a new printer launched practically every month, there are too many brands out there for us to test against. We don’t know how this will interact with your exact printer. We do know how it works when you get your settings down, which is awesome. Note: check with your printer manufacturer before printing with flexible filaments. While most printers can handle the temperature and bed requirements, some stepper motors choke on the flexible materials. They can also recommend specific speed and temp settings for your equipment. Need additional help with settings and temps? Check out this page. Note: the was a mis-print on some TPU packages where the label says “Flexible PLA” instead of TPU. Rest assured, this is TPU. You can still email us and yell or cry or complain if you want. But hey, for $25 a roll we can’t be expected to read our own labels before they go to print, can we? Um, yes, we can. Sorry chaps. Note 2: based on some smartphone autocorrect, our TPU is henceforth changed to “true”. We would trademark it, but that costs money and that cost is then passed onto our customers and that makes us itchy. Just pretend we trademarked it. I’ve almost printed an entire roll of the TPU in black and have been very happy. As suggested, print hot. I had to modify my extruder to prevent the filament from wrapping around the extruder gear, but once that was done I never looked back. Only reason I don’t give it 5 stars is due to a small section of filament with an oversized diameter that led to a jam and a failed print. I’ve not encountered any other issues with the roll, and it’s almost empty. Took a bit to get it dialed in, prints nicely on my Wanhao Di3. Ended ordered every color they have. Black transparent in thin layers. The green is a bit more neon. Nice to a decent flexible material option. And the price is great. Excellent material when you need something soft or flexible at a good price. It prints really well, I’ve never had a botched print, although it can be a bit “leaky” in which case you may need to clean it up a bit afterwards (experimenting with the temperature can help with that, if you can dial in just hot enough to flow well. Also using a long retraction can help). I find it great for R/C vehicles, printing at low infill gives it bigger air pockets inside, providing excellent cushioning for crashes, and makes it very lightweight. I’ve also ordered nearly every color, I wish they also made purple and yellow. I’ve been printing on my Flashforge Dreamer with all the colors for several months, probably close to 100 prints now. I was getting stringy prints, but I reduced the temp down to 210-215 and it works great. You have to print slow, so every print takes a long time, but the results are a flexible part that you almost can’t break. Supports can be a bit hard to remove, since they tend to stretch and not pull off, but if you pull with a set of needle nose pliers, they come off. Really great product for the price. Filament seems pretty consistent. I had to do ZERO mod’s to get good prints, usable prints. With a few tweaks, i should get some awsome stuff. Highly recommend. Thanks for a great product. Definitly want to buy more. 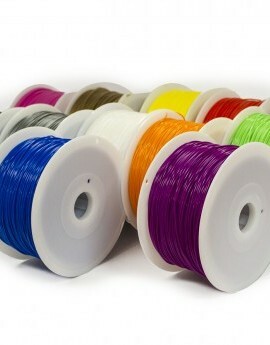 While PLA can’t survive kids, this filament does. It leaves a lot of strings, but I cut them off with wire snips. Using my Original Prusa i3, I print at 225C with a 70C bed and it sticks well. Wings at the tops of dragons are difficult because they flop around during the print, but I think I can fix that by using more support material. Great Stuff! Prints wonderful on my Wanhao Duplicator 4. Consistent diameter and perfect elasticity! Just wish they had Green in stock! Green will be back soon! Thanks for the good words! For anyone that thinks they can find a better Flexible filament for a cheaper price stop looking. I have been that person and let me tell you once I found FoxSmart Flexible filament the search was over. As claimed above once you nail the settings on the head this filament just works, saving me time and frustration. The customer support is beyond exceptional and I will be a forever customer of FoxSmart. So, I really can’t believe I got a kilo of this stuff for less than the price of some makers’ 0.5 kilo spools. I can’t believe there is a quality difference – this stuff is flawless. I’ve had several hours of printing this and while I’m ultra-conservative in my settings (15 mm/s, but then I’m running a bowden tube!) I still am impressed with how few issues I’ve had. Excellent stuff. I love the consistency, the super-glossy finish, and the unique applications I have found for this. And the price… wow. I’ve used every color option available at the moment and have had consistent results with all of them. Also, for the cost, it is the only TPU I have found that is reasonably priced (for resale of printed products at least). Keep up the good work and can’t wait for more color options! This stuff makes great demos at Maker Faires. I print a 0.5 mm wall thickness vase, pull it off the printer and toss it to someone so they can’t catch it. They pick it up off the floor and are shocked that it is flexible. Then I tell them to try as hard as they can to tear it. I’ve had 350 lb men turn red in the face trying to tear the stuff and no one has been able to do it. This filament is truly unbelieveable! Awesome! We love hearing this. Thanks for sharing with everyone! 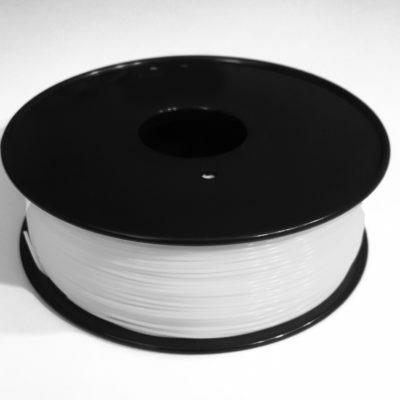 This filament is very durable, tough, but flexible. 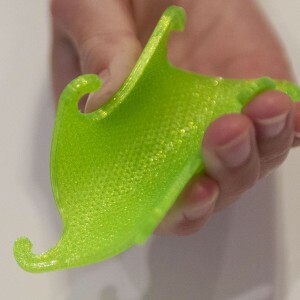 Depending on your design and infill you can control the rigidity and flexibility of your printed object. You can crush the #%@# out of it and it will return to it’s original shape. 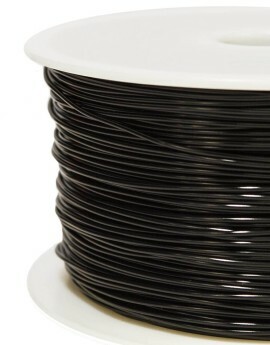 Not as soft or rubbery as Ninjaflex, but not as hard as some other flexible filaments.